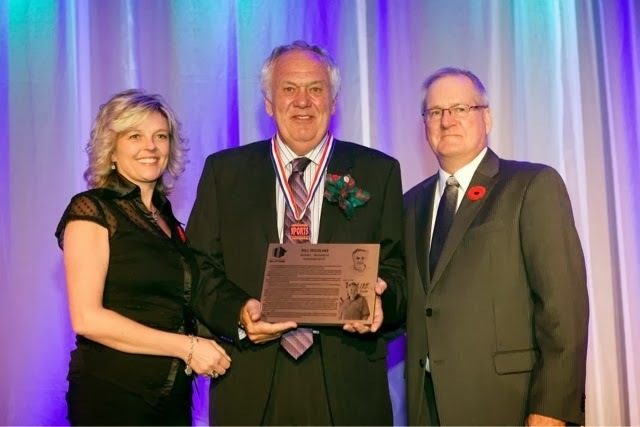 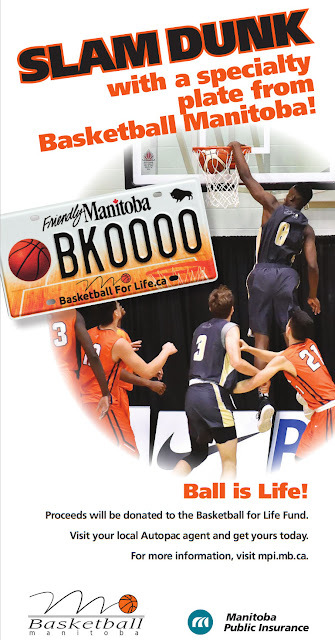 Long time basketball coach and administrator Bill Wedlake was officially welcomed into the Manitoba Sport Hall of Fame at its 34th annual Induction Dinner this evening in Winnipeg. 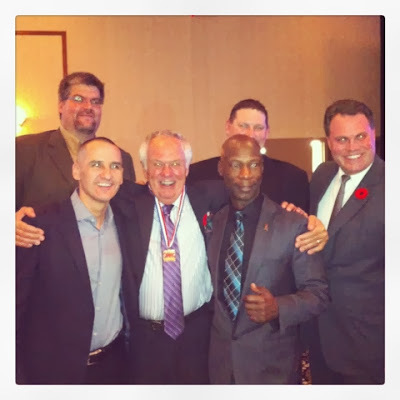 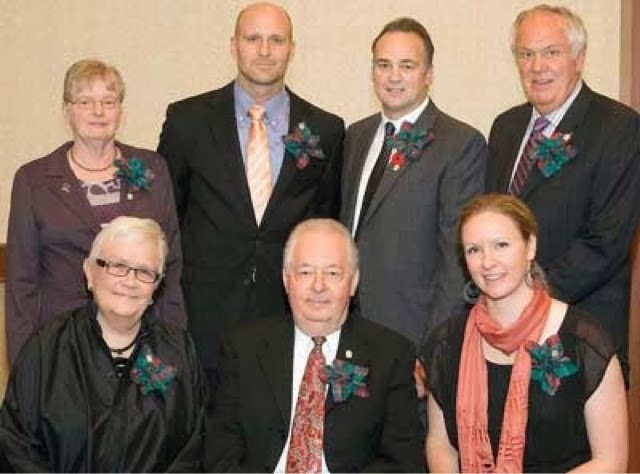 The former Wesmen coach and athletic director joined other inductees Dale Hawerchuk and Corey Koskie among others. 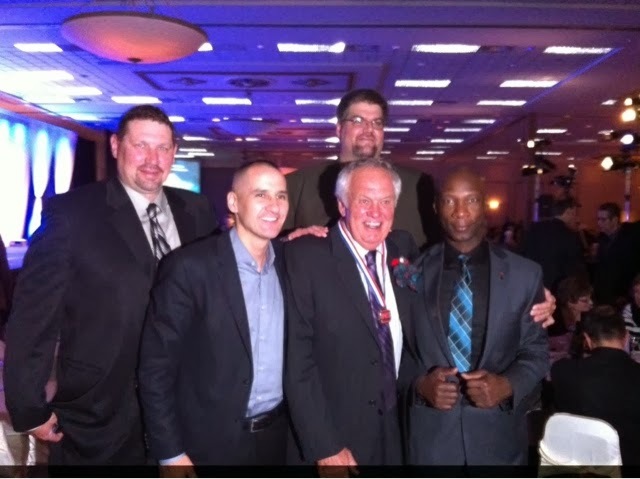 Joining Bill this evening were a number of close freinds and family along with former players Winnipeg Police Chief Devon Clunis, MLA Kevin Chief, Jeff Foreman, Norm Froemel and Larry Wandowich. 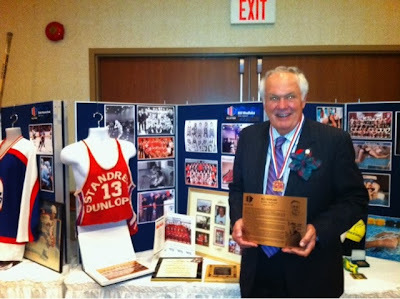 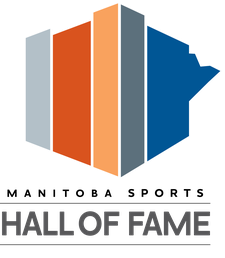 Bill was inducted into the Manitoba Basketball Hall of Fame in 2007. Congratulations coach!